OMG you guys. 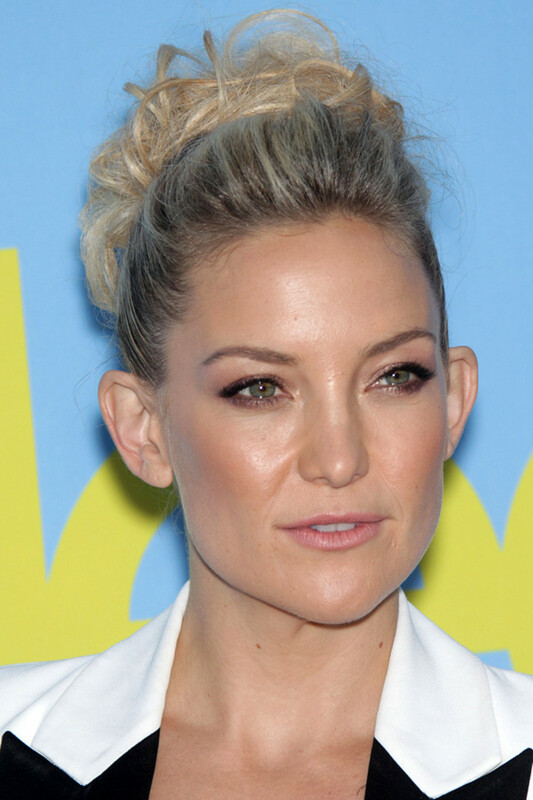 Two weeks ago, on an otherwise routine Friday afternoon, I had a 20-minute phone conversation with Kate Hudson. 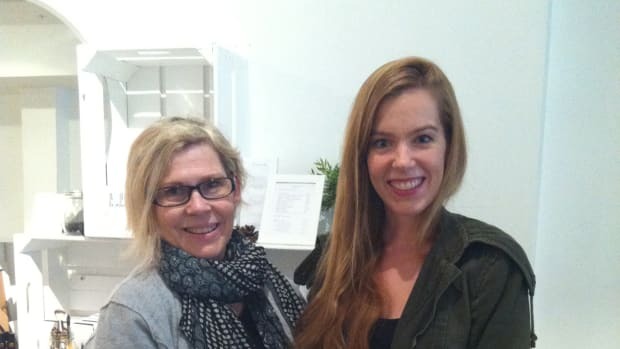 I was kind of freaking out inside because she&apos;s definitely the most famous person I&apos;ve interviewed (on par with the Beckhams and Christina Aguilera), and most certainly the most famous to be featured in a Q&A on this blog. Plus, out of all them, she&apos;s the one I most admire. 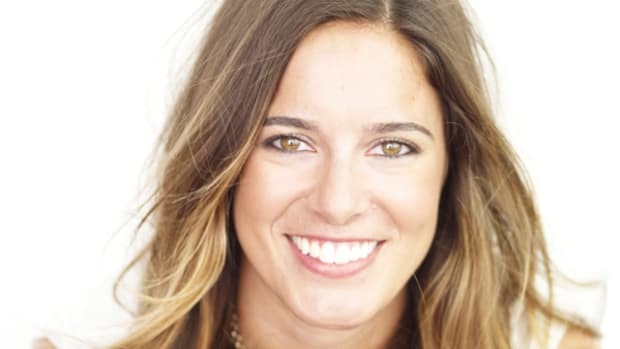 Girl is gorgeous, funny and totally down-to-earth (she&apos;s got that rare skill of making you feel like you should totally be BFFs). The interview was organized by Almay, since Kate&apos;s their celebrity ambassador, and I had free reign to chat with her about anything beauty-related—my favourite subject, obviously. 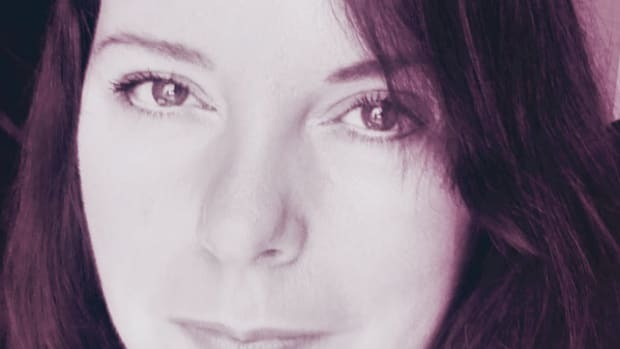 Just getting the opportunity to talk to her was incredible enough on its own, but what I didn&apos;t anticipate was that Kate would be such a great interview subject. Like, seriously, surprisingly great. I hate to say it, but it doesn&apos;t happen often, especially with celebs because they tend to be so guarded and can come across a bit phony. But not Kate. She was super-generous about sharing her genuine thoughts and tips. There is some REAL beauty intel here, folks! She also talked about her favourite products, which I&apos;ll be going into more detail on myself next week (the CC cream, lip balms and eye makeup removers are awesome!). Until then, dive into this interview—and then take a look at some of her behind-the-scenes shots with Almay. How would you describe your beauty philosophy? To me it starts with the inside out. I think number one is managing your stress, because when we’re stressed out, it shows all over. And if you are stressed, there are all sorts of things you can do. But I think for me that&apos;s sort of where the beauty regimen starts, with health—mental and physical health—and then the fun stuff. I’m a big fan of less is more. When I&apos;m going to events or doing anything that requires... or not even requires, just lends itself to experimenting and having fun and getting a little wild, I get more experimental. But on a day to day basis, I’m pretty much no fuss. I want natural makeup. I just want to cover up all the bad stuff—like my little blemishes or discolourations in areas. I&apos;ll do a quick, light moisturizing, like with what Almay has, a CC cream. And lip gloss and little bronzer and mascara. Can you tell us more about how you manage your stress? I think it&apos;s important to do a type of meditation, to take a couple minutes away from life—where you&apos;re alone and mindful and connect with yourself and let all of the stressful things in life go for a couple minutes. I know it’s been a difficult thing for me to get into. I think it’s hard for lot of people to get into a meditating place. But the more you practice, the more helpful it becomes and you do see the benefits. As I get older and more involved in that world, it&apos;s no longer becoming a spiritual practice—it&apos;s a more scientific practice. You have to manage your stress levels and tap into a more optimistic and joyful place. So there&apos;s that, and also being active is really important. When you&apos;re stressed or things are going on that might not be motivating for you, that physically starts to take over. When you&apos;re active, all those endorphins get going and it lifts serotonin. And it does bring more energy and activity into the pleasure parts of the brain. So those two things are very important. The other thing is connecting with nature. For some people, it&apos;s very easy, but for the working and busy person, sometimes you forget about that. I think part of being active can come with connecting with nature. Those things seem to help me manage any stress points in my life, but stuff comes from anywhere. Any mom knows that parenting is greatest thing in the world, but at times it is also most stressful because you&apos;re very much concerned about your children and their schedules get busier and busier as they get older. Anything you want to do for yourself is on top of that; it&apos;s an add-on to those things. So it&apos;s important to try to balance. I do all sorts of stuff because I get really bored. So I try to just change it up. The only things that stay consistent are dancing and pilates. I&apos;ve danced a long time—all my life—and it makes me happy. Even if I&apos;m not hitting as many pirouettes as I did at 19, I just love to move. And so dancing and pilates go side by side in terms of how I like to exercise. When you’ve got kids, you can&apos;t always do all this. So my activity often happens with the kids. Like wakeboarding right now. I used to do it with my brother when we were younger. Now, I&apos;m like, "this is engaging my core." And playing soccer, football. I’ll spin. I change it up. Do you follow any special sort of diet? Yes. I mean, I’m a bit of foodie. So that has always been, but I’ve found a groove in it where I pick and choose my moments. If I were to go with my taste buds, I&apos;d probably be a bit unhealthy. Because I really love to cook and I’m a huge fan of different chefs; I’m a Food network fanatic. The only thing I could do is realize that I have to be healthy, and so I learned to always be aware of calories and getting to know what certain things are. Like anything, knowledge is power and the more you know, it&apos;s the first step to making choices that are better for yourself. I learned about how much is in a croissant—350, 400 calories. That doesn’t mean I’m not going to eat it. I’ll just probably have less calories in my lunch but still with good protein. So I decided to learn about food and make it more of a lifestyle thing than dieting. It&apos;s more about understanding what I&apos;m putting in my body. It&apos;s fuel. I kind of stick with calories and then I’ll do fasts throughout the year. Just small fasts; I don’t do big ones. They&apos;re anywhere from three to five days. I try to do them seasonally because I think it’s good to change with the seasons and clean out a bit. What about your skin, is it sensitive? I have really sensitive skin. I only found that out five years ago. I love products so much, but anytime I do a movie where I&apos;m in the makeup chair every day, I can see it on my skin. My skin really doesn’t like a lot of stuff on it. 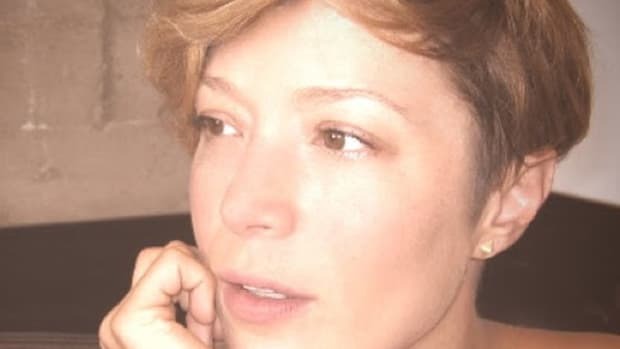 Even in skincare regimens I’ve followed—as girls, what we do is we try this, we try that—the only thing works for me is to use really basic, simple, non-stimulating products. Ones that soothe and are sensitive rather than really penetrating or aggressive. Some women are better with that, but not me. What are the top beauty products you can&apos;t live without? I think this would be an appropriate time to talk about Almay. I’ve been so happy that we did the lip balms. I&apos;ve been waiting for Almay to do lip. I live for lip balm and lip gloss. I’m not a big lipstick person unless I’m going out or doing an event or something. And then I thought maybe they&apos;d do a couple colours and all of a sudden, oh! There are so many colours. So it&apos;s safe to say I’ve got a drawer full of Almay lip balm. I take them everywhere. Almay Color + Care Liquid Lip Balm, at Drugstore.com, Target, ULTA Beauty, Walgreens and Well.ca. I also love the eye makeup removers and Q-tip removers. They&apos;re always in my makeup bag. 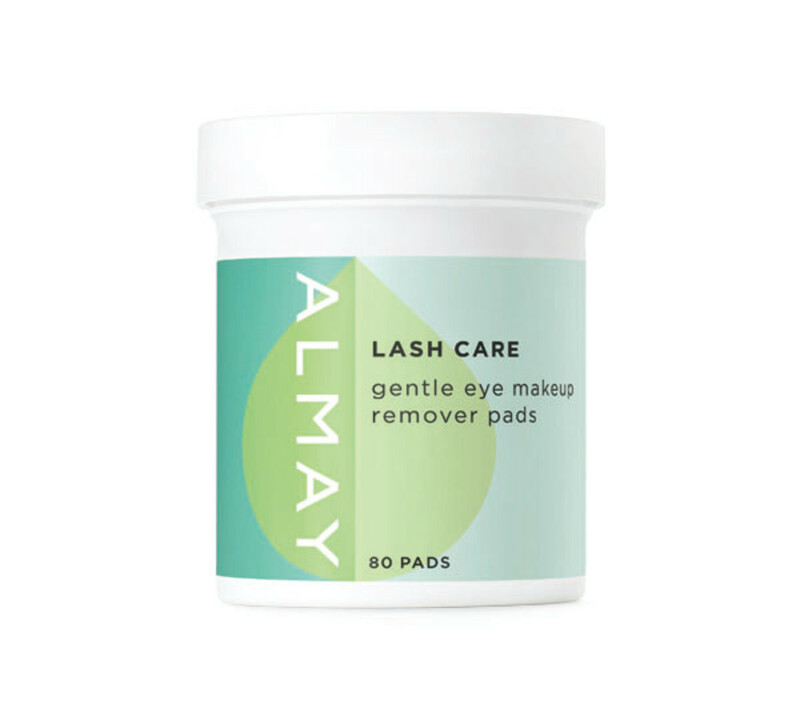 Almay Lash Care Gentle Eye Makeup Remover Pads, at Drugstore.com, Target, ULTA Beauty and Walgreens. 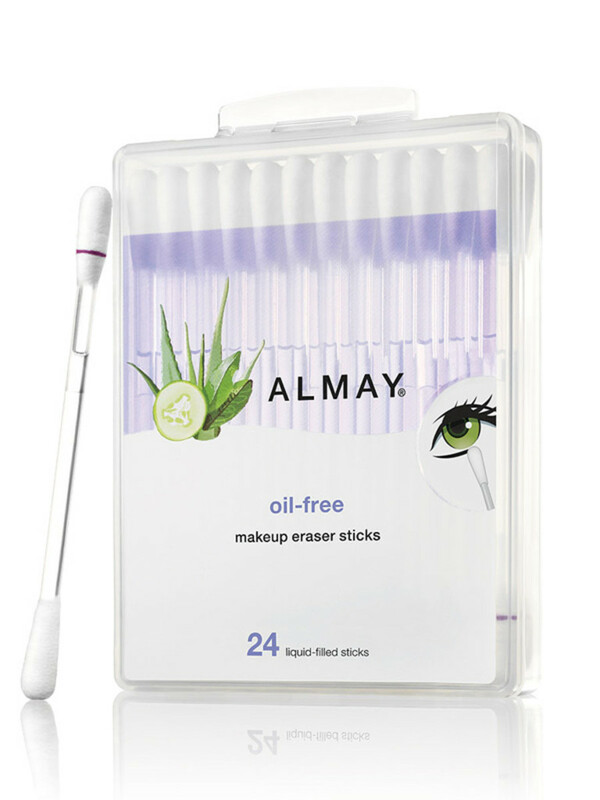 Almay Oil-Free Makeup Eraser Sticks, at Drugstore.com, Target, ULTA Beauty, Walgreens and Well.ca. My other favourite is the CC cream. Because that’s natural makeup and that just fits right in with the kind of makeup I like to wear. It’s got the SPF so I just put it in my hands and then on my skin like moisturizer and you’re off. 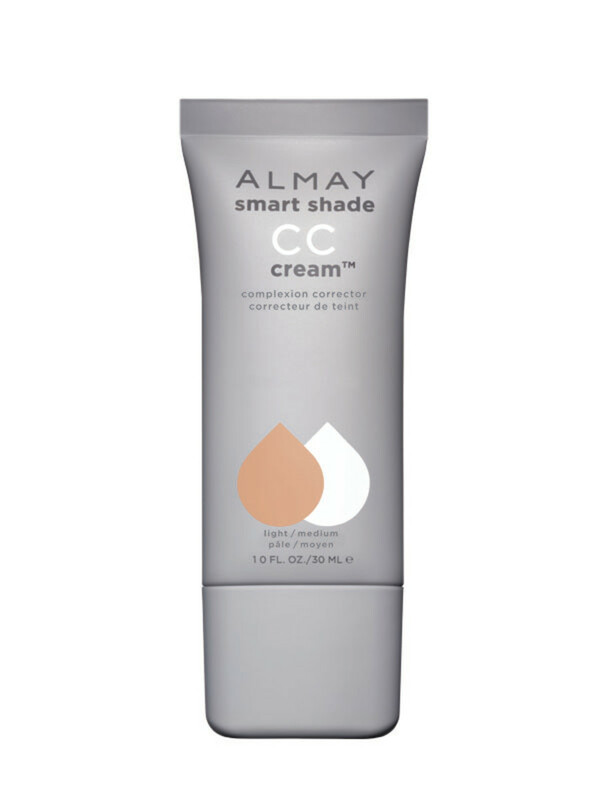 Almay Smart Shade CC Cream Complexion Corrector, at Drugstore.com, Target, ULTA Beauty, Walgreens and Well.ca. And then I love to always carry around rose water. A spray. I love them. They make me happy. I’m an oil person. Sometimes perfume can make me a little dizzy, so I like more oil-based scents. I like coconut, beachy scents. I have this coconut musk, an oil, that I like to use. 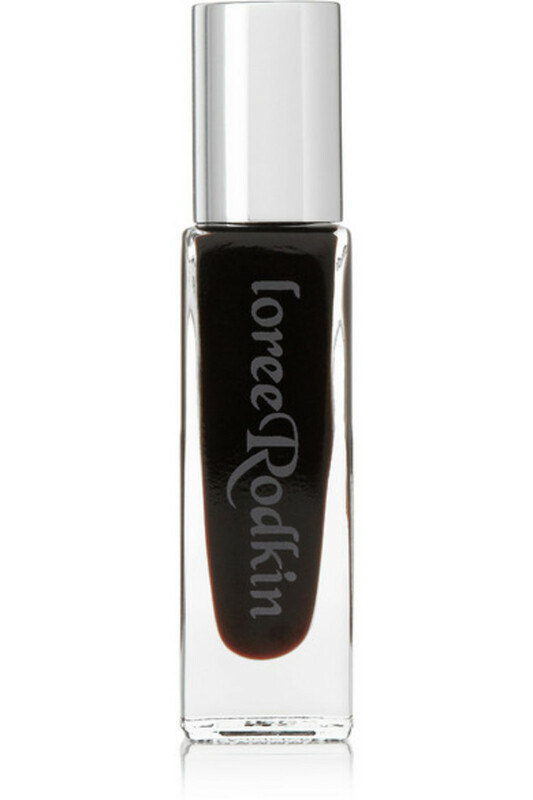 Actually, Loree Rodkin makes a beautiful oil perfume. Otherwise, I’ll just go buy a bunch of essential oils and mix them all up, like a neroli with orange blossom. Loree Rodkin Perfume, at Net-A-Porter. I think in day to day life, I’m natural. It depends on what else is going on, like what I’m wearing. Lately, I&apos;ve been wearing quite a bold lip, which I’ve been having a lot of fun with. But it changes as to what the look is. I’m not into heavy makeup, like that sort of heavy, &apos;80s smoky eye with red lips. There&apos;s a time and place, but it&apos;s not my go-to. I&apos;m into more experimental makeup right now. When I do my girlfriends&apos; makeup, I play in terms of colours or types of lashes. But that kind of makeup doesn’t make sense for every day. Do you ever do your own makeup for special events? Yeah, quite a bit actually. I’m a little funny about makeup artists. There are some that I really love to work with. But doing makeup is one of those things that I&apos;ve always done since I was a little girl. I used to make jokes that if I didn’t make it as an actress, or if it didn’t work out, at least that was my back-up. I really love doing makeup. What have you learned from the makeup artists you&apos;ve worked with? I think the best makeup artists do the best skin. If someone knows how to get the skin right, it does change the whole face. Like contouring and highlighting—that’s a real talent. It also takes getting the best types of products that can highlight those areas, and knowing the kind of skin you have and how you work with it. With expert makeup artists, it really is a craft that can transform women’s faces. Have you ever had any total beauty disasters? I think to be honest, women have more disasters with hair than with makeup. Makeup, you get away with it, even if it&apos;s a choice to do something really "out there." It’s not like, oh my God, look what she did with her face. With hair, it’s what is that hairdo? I’ve definitely had a couple of those. Do you think you&apos;ll always stay blonde? I’ve kind of done everything—I’ve been blonde, darker blonde, more like a browny, dark blonde, and I went red once. Like an auburn red, which I actually really liked. It comes from when you do movies. People associate me with blonde, but when doing film, it changes all the time. What are your favourite makeup tricks? I would say the best and easiest trick for me, that would be great for any reader, would be the eyeliner on the inside of the upper lid. I think that pops out women’s eyes. I&apos;ve even seen men do that on camera—well, makeup artists do that on a guy. It&apos;s very subtle and it really is effective for bringing any eye out. Also getting a really good eyebrow kit. I feel like eyebrows are the best-kept secret—if they go wrong, they&apos;re really wrong. But when they&apos;re right, they really do frame the face. Okay, it&apos;s Michelle again now. What an honour and a pleasure (and I TOTALLY agree about the stress thing, and the inner upper eyeliner trick). Now I&apos;m going to leave you with a few shots from Kate&apos;s shoots for the CC cream and liquid lip balm campaigns. Look at that smile! And that ring! Do you agree that managing stress is the best beauty move you can make? What about her eyelining trick—ever tried it? Her favourite makeup and skincare products, plus why models aren't as "perfect" as they seem.